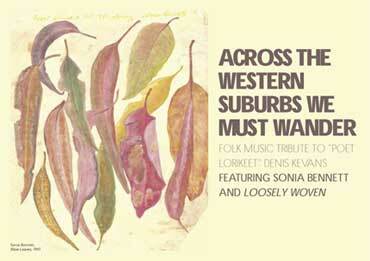 A folk music tribute to Australia' Poet Lorikeet, Denis Kevans featuring Sonia Bennett and Loosely Woven. All proceeds will be given to the Denis Kevans Trust, to assist with publishing the poet's unpublished works. Tickets & Info: (02) 4645 4100 or by email. 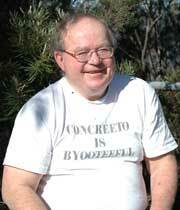 Denis Kevans was one of Australia's leading bush poets, known for over 30 years as the nationa's 'poet lorikeet'. Denis is remembered for the significant contributions he made to the peace movement, environmental campaigns, human rights and folk music in Australia.